Located in Hakuba, within 2.2 km of Hakuba Iwatake Ski Area and 9 km of Hakuba Cortina Ski Area, Hakuba station Hostel eN offers accommodation with free WiFi. 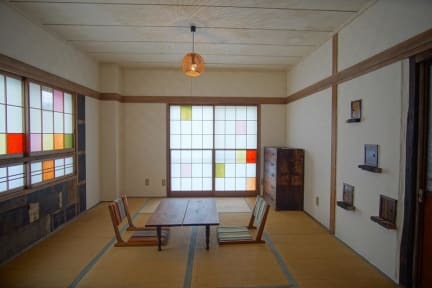 The property is situated a 20-minute walk from Hakuba Happo Bus Terminal. Hakuba Ski Jumping Stadium is 2.4 km from the guest house and Happo One Ski Resort is 2.4 km away. There are many restaurants, bars, ski shops, outdoor shops, and banks around Hakuba station. Also,there is a laundromat in front of the guesthouse, 5 minutes walk to a grocery store, 10 minutes walk to Onsen! Very convenient place to enjoy Hakuba!!! 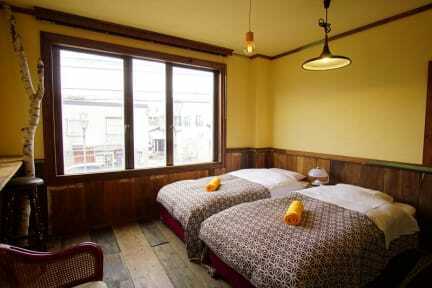 Guests at the guest house will be able to enjoy activities in and around Hakuba, like cycling and hiking.